The Almoravids (or in Arabic, Murabit (singular)), were a Berber dynasty from the Sahara who were able to spread across a wide area of north-western Africa and the Iberian peninsula during the eleventh century. They originated amongst Berber tribes that lived along the borders of modern Morocco, Mauritania, Senegal and Mali, and indeed it was some of these tribes that had created the Berber kingdom of Mauritania in the third century BC (actually located within ancient Morocco rather than the modern Mauritania). The region was converted to Islam in the ninth century, probably through contact with the powerful Aghlabids of Ifriqiyya, but the various tribes were rarely united or powerful. One tribe was the Lamtuna, and under their spiritual leader, Abdullah ibn Yasin, they were driven by a conviction that the Muslims of the region were not practising their faith properly, and they wanted to correct that. They swept all opposition before them, creating a Moorish empire that was extended over Mauritania, Morocco, the Western Sahara, Gibraltar, Tlemcen (now in northern Algeria), and a great part of what is now Senegal and Mali in the south, as well as into Islamic Spain and Portugal in Europe. Their entry into Spain prevented the collapse of Islamic territories there in the face of resurgent Christian forces, prolonging the reconquest by four more centuries. 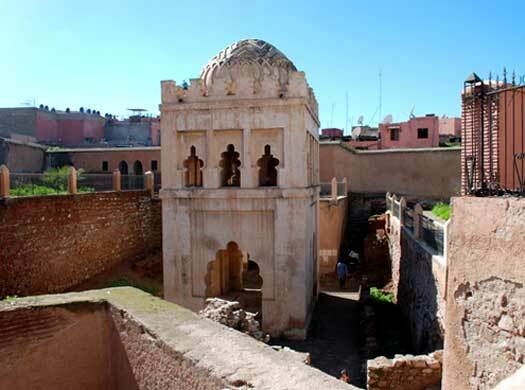 They founded a new capital in 1062, creating the prosperous city of Marrakech in the process. That city became their prison when they were besieged by a new wave of Islamic fundamentalists, and ensured their downfall less than a century after they had arisen. A Berber of the Sanhaji tribe who has studied the Koran becomes a fiery, charismatic teacher. Abdullah ibn Yasin wants to change his fellow Berbers into 'proper' Muslims, ending their rather relaxed following of Islam's rites and teachings. His mission begins in the western Sahara, where he forges an alliance of local tribes and appoints himself their spiritual leader. He plans to export his redefined brand of fundamental Islam to the other Berbers, whom he considers to be heretics, and the only way to do that is through 'holy war'. Spiritual leader. Died fighting Berber 'heretics'. Lamtuna chieftain. Military leader under Ibn Yasin. First sultan. Ibn Yasin is now able to lead an army of nomads northwards towards the major trading city of Sijilmasa in Morocco, immediately to the south of the Atlas Mountains. The city contains 50,000 people and occupies one of the biggest oases in Africa, and it falls to this new army. Immediately, ibn Yasin leads his forces south around the edge of the Sahara to captures the source of Sijilmasa's wealth in gold at Awdaghust. Now they have a virtual monopoly in the Sahara region of this most lucrative trade. Ibn Yasin's followers gain the name 'Almoravids' from a phrase meaning 'Those bound together in the cause of God'. Brother. Killed fighting in the southern Sahara. Ibn Yasin decides to cross the Atlas Mountains, the natural barrier between the Sahara and the rich, fertile coastal regions beyond. The first Berber city to be attacked is Aghmat, which nestles in a lush valley on the northern side of the mountains. Its rulers are defeated and the city becomes the new headquarters for the holy war. For centuries the city is thought to be lost, until the ruins are discovered in more recent times. Archaeological digs have shown it to be a rich and prosperous city, complete with one of the largest bath houses, or hamams, in the western Islamic world at this time. With their attacks on 'heretics' and the extra territory that they are able to continually add to the new kingdom, the Almoravids have effectively conquered southern Morocco by 1062. Then their new domains are partitioned by Abu Bakr ibn Umar, with the settled regions going to Yusuf ibn Tashufin as regent. Abu Bakr ibn Umar dedicates his own time to fighting various desert revolts that are breaking out, as well as waging fourteen years of 'holy war' against Old Ghana which ends with the capture and burning of the Ghanaian capital. Regent and cousin, but became too powerful to dislodge. Not content with remaining in the luxurious but strategically vulnerable Aghmat, the Almoravids return to the Sahara side of the Atlas Mountains and found a new capital for themselves, Marrakech. What begins as a collection of tents pitched in the desert quickly becomes an established city. 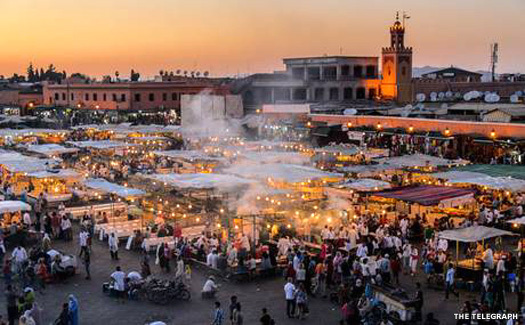 Ibn Tashufin organises the building of Marrakech, including its administrative, commercial, and palatial sections. He also orders the rebuilding and strengthening of the walls, and includes new gates, one of which, the Bab Doukkalaa, still stands in all its simple but effective beauty. Then he sets about building the Almoravid empire. Heading out north-eastwards with his army along the great coastal strip to the north of the Atlas Mountains he conquers city after city, including Fez (taken from Morocco in 1075), Tangier (in 1079), Tlemcen (in 1080), Cueta (in 1083), and former Rustamid Algiers, Ténès, and Oran (in 1082-1083). They now control the whole of north-west Africa. With an expansion of the Almoravid empire that has not been foreseen by anyone, Yusuf crosses over into Islamic Spain. Having received an appeal for help from the minor Islamic princes of the fractured kingdom there, he saves them from immediate defeat by the Christians of the north by defeating Alfonso VI of Leon at the Battle of Zallaqa (otherwise known as Sagrajas). Over half of the Christian army is lost, a crippling blow for them, but the Almoravids suffer high casualties themselves and are unable to follow up on their victory. Yusuf is also appalled by the lack of dedication shown by the Muslim princes in Spain to the tenets of their faith. Turned the kingdom into an empire. Died aged 80. Yusuf returns to Spain and defeats the minor princes one by one, first at Cordoba, then at Seville, and finally at Zaragoza. Only Zaragoza is not conquered despite the defeat of its ruler. The Almoravids add southern and eastern Spain to their empire, uniting a great area of western Africa and southern Europe under one ruler for the first time since the days of the Roman empire. Son. Aged 23 at accession. 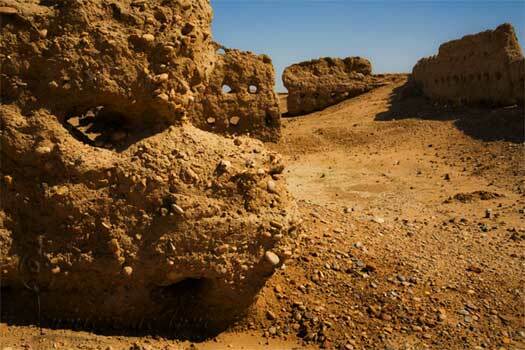 Ali is the first of the line of kings not to have known the desert as a way of life. Instead he has been brought up amid sumptuous wealth, and he continues his father's work of building up Marrakech by constructing a new royal palace, designed and built by architects from Andalusia in Spain. A small fragment of the palace is discovered in the early 2000s in Marrakech, almost the only example of Almoravid architecture to have survived. However, a new Islamic force is building in the foothills of the Atlas Mountains in the shape of the Berber Almohads. The Almoravids, unable to pin them down, begin to fear them. The battle of words over just who has correctly interpreted the teachings of the Koran between Ali ibn Yusuf and the Almohad spiritual leader, Ibn Tumart, has been growing more hostile year by year. Now it explodes into open warfare. The Almohads surge down from their mountain refuges to lay siege to the Almoravid cities in what becomes a drawn-out campaign. Son. Lost ground to the Almohads. Killed escaping them. Tashufîn ibn Alî's ill-advised expedition against the Almohads at Oran ends with him being besieged for several days before trying to escape by sea. During the night-time attempt to join his fleet, he falls from a cliff and is killed. His infant son is proclaimed sultan in his place, but the child is quickly and necessarily replaced by his uncle. Brother of Tashufin ibn Ali. Killed by the Almohads. After almost twenty years of laying siege to Marrakech, the Almohads finally break through the city's mighty walls. Both the infant Ibrahim ibn Tashufîn and his uncle are killed. The Almohads begin their reign by tearing down all of the Almoravid mosques in the city, claiming that they are not properly aligned with Mecca so they must be rebuilt. All that remains of Almoravid power is in the form of the Banu Ghaniya in the Balearic Islands which they continue to occupy. Battles continue against the Almohads for at least the next four decades, but the Almoravids never regain their once prestigious position.